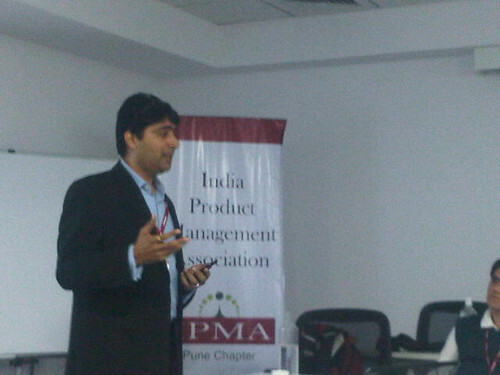 The next meetup of the Indian Product Managers Association (IPMA), Pune, will feature a talk on Leveraging Social Media as a Market Research Tool (as opposed to outbound marketing), by Pinkesh Shah, Founder and CEO at Adaptive Marketing. The event is on Saturday, 3rd December. Pinkesh Shah, is a Silicon Valley Executive who has been a Product Management Practitioner for the last 14 years in US. Most recently he was the global Vice President of Product Management at McAfee (now acquired by Intel). Having played a key role in understanding how global products have to be adapted to work in emerging markets, he also started the product management organization in McAfee India. Before McAfee he had several senior management roles in product companies like IBM, netIQ and have launched new products in the high technology space in startups like Netrex and Captivo. Shah is a gold medalist from M.S.University where he earned his Bachelors in Engineering in Computer Science and a UPE research scholar at Purdue University where he earned his Masters in Computer Science. Shah started Adaptive marketing with a vision to create the next generation product managers and marketers in India to enable technology product and services companies to market their product globally. He is part of the Angel network which invests in early stage technology companies.